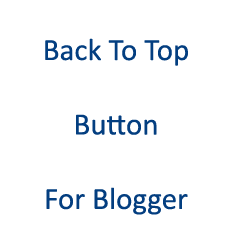 Back To Top Button for Blogger Blogspot Blog helps to scroll back to the top on one click. In this Blog Customization post, we are going to Add Back To Top Button On Blogger Blogspot Blog. Here is a simple button that you can easily add or customize as your blog requirement. Follow the steps below to add Back To Top Button. Recommended: Before editing your template please backup your current template, Just to be safe. 1. Login your Blogger Dashboard. 5. Copy the code below and paste just above </body> tag. 6. Click on Save template and check your blog. 3. Click on Add Gadget (any). 5. Leave blank for the title and Copy the whole code and paste on the content area. 6. Click on Save and You're done. Check your blog.